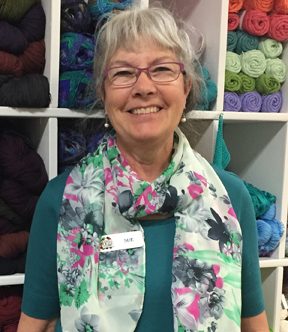 We're pleased to welcome Sue Maxwell to our team. She has been a customer here almost from the day we opened and decided to step out of retirement to work with us three days per week. Sue quilts, knits, and crochets. She'll be working mainly in the Yarn Shop and also helping out in the front of the store. Sue and her husband Mike live on Summit Ridge. They have two grown children and recently adopted Jack, an eight-year-old Boston terrier. 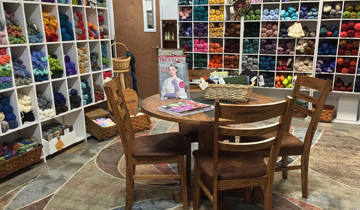 It doesn't seem like a full year has gone by, but our Yarn Shop will celebrate its one-year anniversary on Saturday, April 1. Save the date! We'll be celebrating from 10 a.m. until 4 p.m. with demos, a free class, door prizes, an Intermediate Knitting class reunion (bring your completed afghans in at 12 noon), special sales, and more. Look for more details in next week's newsletter. This pretty collection arrived in time for the first day of Spring. It includes fat-quarter bundles, charm packs, and jelly rolls. 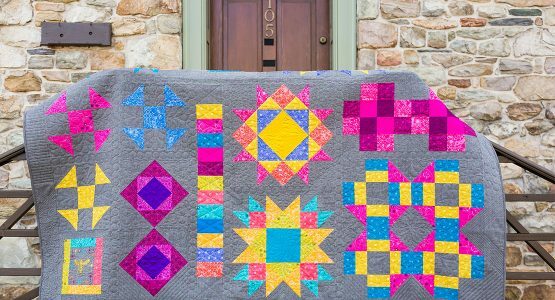 This is one of the latest By Annie patterns, and we all know how much fun her projects are to make. Judy Bryan will teach this two-session class on March 24 & 25. On Friday, you’ll cut, quilt, and begin assembling this handy zippered bag. On Saturday, you’ll finish the project which features inside mesh pockets. 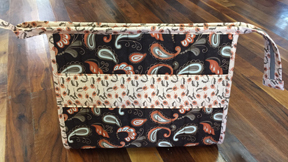 Great for sewing notions, cosmetics, small knitting projects, and much more. This class builds on what students learned in Knitting 101. Now you take your craft to the next level by learning how to increase and decrease. 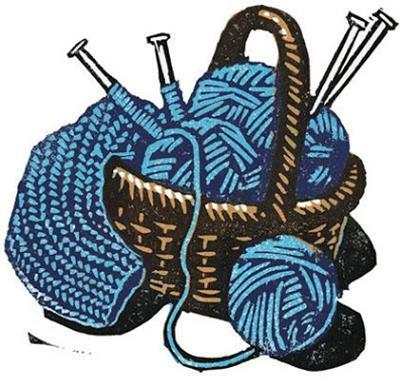 Bring needles and any leftover yarn from Knitting 101. 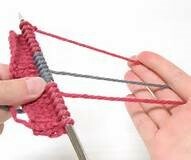 If you are already proficient in casting on, binding off, and doing knit and purl stitches, you may be admitted directly to Knitting 102. Limited to four students; youth and adults welcome. Anne Worthington will be the instructor. Learn how to knit small islands of color without having to strand. 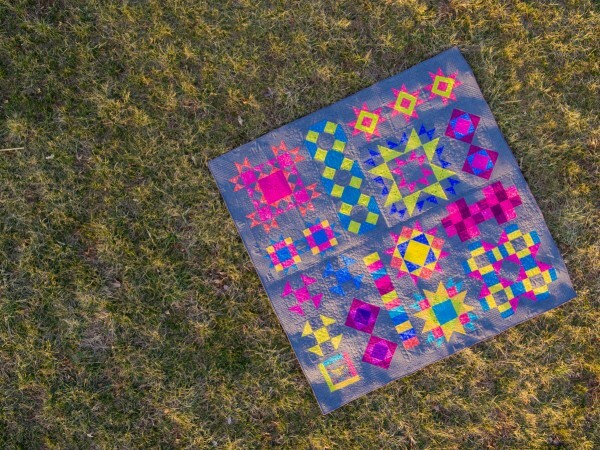 Usually worked in flat knitting, this technique allows you to incorporate different colors and shapes into your knitting. 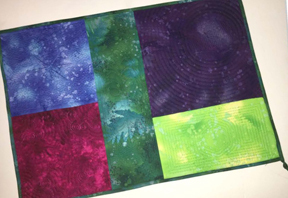 Software 8 can be used to efficiently create a quilted project. 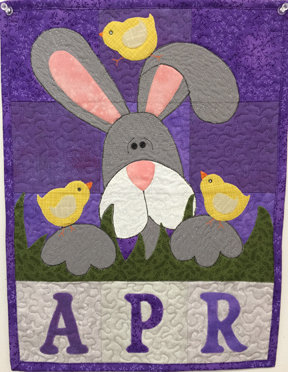 It’s so quick and easy to add quilting stitches around designs that are perfectly placed. Our Software 8 video will be followed by a lesson in Software 7. 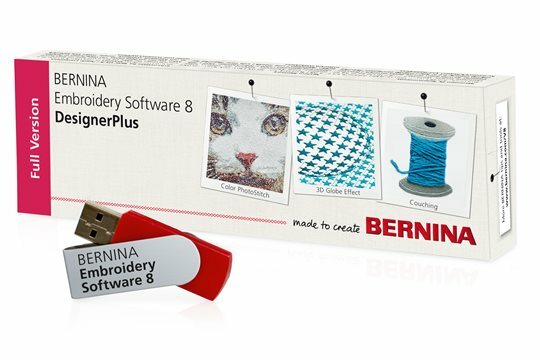 Bring show and tell, a USB stick for a copy of the lesson, and your computer loaded with BERNINA software to create a design. Through March 31 we are offering VERY special pricing for anyone who wants to purchase DesignerPlus Version 8 or update from DesignerPlus 7 to 8. Talk to Cindy for details. This handy cell phone holder is made entirely in the hoop. Choose from two sizes. There is a pocket on the back to hold your charging cord. 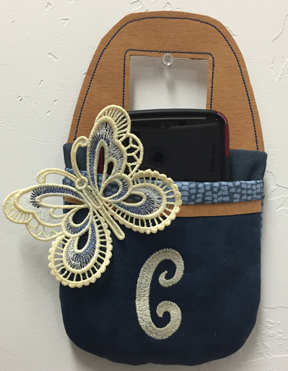 Cindy made this sample using Kraft-Tex and added a free-standing lace butterfly. Very stylish! Cindy will teach this class. Sign up today. • Minor fixes to some existing stitches. Not all models have all of these updates. 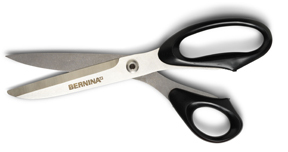 Visit the BERNINA site (support page) and click on your machine model. There you'll find information on what the update for your machine includes (release notes) and how to install the updates (download instructions). It's recommended that everyone who owns a 7 or 8 series machine install the updates, and it is especially important for owners of 710, 750, 780 and 880 models and any 7 or 8 series machine purchased in 2014 or prior. If you would prefer to have one of our certified technicians do your update for a fee of $25, please call 970-565-7541 to schedule a time for you to bring in your machine. Note: Our technicians always check for and install the latest firmware when servicing machines. Please plan to pay by cash or check directly to Columbine Sharpening when you pick up your scissors. Thanks! Happy first day of spring! 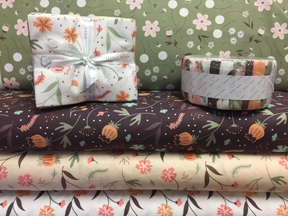 Before you get busy in your garden, gather up all of those large quilt tops you've been meaning to turn into actual quilts, purchase 108" wide backing, and save 20% . . . this week only! Offer expires on Saturday, March 25 at 6 p.m. Limited to stock on hand. No phone orders. You must mention that you saw this offer in the Quiltzette to receive the discount.